As soon as a customer Licence becomes active, you can invite their staff members to your Member Portal, so they can make bookings, pay invoices or participate in your community. Operate allows you to automate this process, using Workflows. In this guide, we will take you through the Workflow setup that will automatically send a Portal Invite email to the main Licence contact, every time you activate a new Licence. Therefore, please keep in mind that only the person selected as a Contact on the Licence will be sent the invitation email using the setup below. 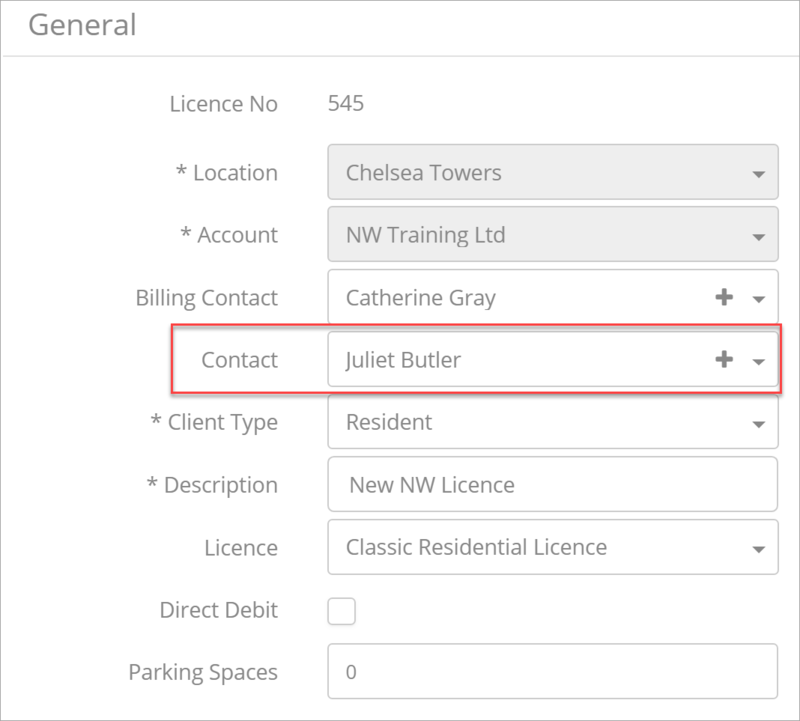 For Billing and other Contact types, there is a separate setup, which we will discuss in another article. Create the rules of your workflow. Set up the actions to perform once a Licence record meets the rules. Set the order in which these actions should be performed. Go to Settings > General > Workflows. Click New to create a new Workflow. Select the Licence Module, under Step 2 - Select Object. Build the criteria and filters for this workflow - Select to evaluate the rule when a record is created, and every time it’s edited. 1. Status Filter equals Activated - This ensures that your Workflow will only trigger for Activated Licences. 2. 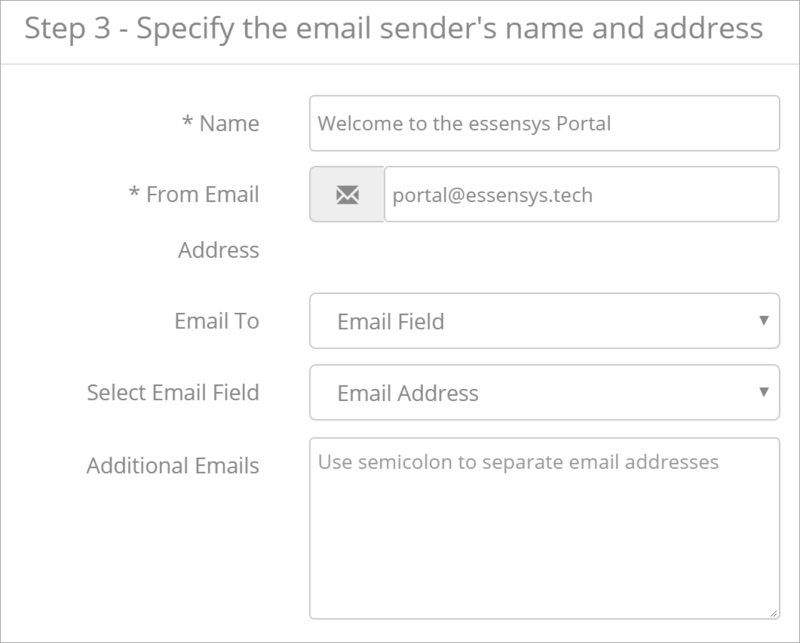 Onboarding email sent equals False - This tells Operate whether the Contact has already received a Portal Invitation email. 3. Opportunity Type is not equal to Additional Licence - This filter makes sure that, if your customer requires a second Licence, then they will not receive another Portal onboarding email. You should therefore have an Opportunity Type available, which you can set for any additional Licences a customer requires. Please see the dedicated Opportunity Type customization article for more information. The Opportunity Type can be anything you choose - 'Additional Licence' is only an example. You can add more filters if you need to, such as Location. There is no logic required - all of the above mentioned filters should be considered when triggering the workflow. You can, again, use logic if you need to, but please make sure that Status Filter, Onboarding Email Sent and Opportunity Type filters are ALL considered; otherwise your workflow will not work as expected. Enable the Workflow by checking Make workflow active. Save your setup when ready. This is where you can tell Operate what to do, as soon as a Licence meets the criteria configured above. Update User Access Level - The default access level for new contacts is Basic. We will want our main Licence contacts to be Admins. Send the Onboarding email to your Contact. Update the Licence Onboarding Email Sent field to True, so that the Contact will not receive any future onboarding emails. Start from your Workflow view page. Under Workflow Actions, click New. Name your action as Update User Access Level. Leave Is workflow timebased? unchecked. We need this to trigger immediately. 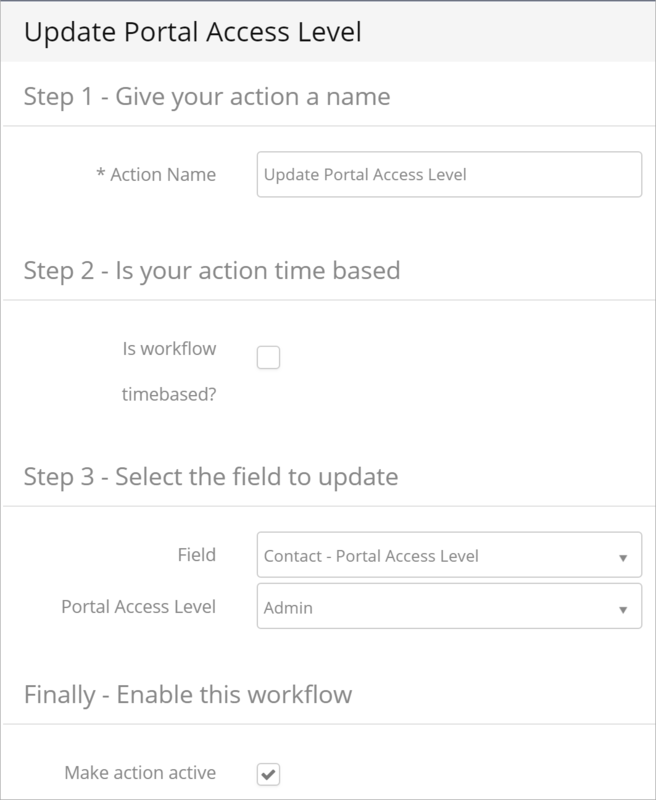 Under step 3, select the Contact - Portal Access Level field to update. Select Admin as the Portal Access Level. Enable the workflow by checking the Make Workflow Active checkbox. Select Email Alert on the Action Type screen. 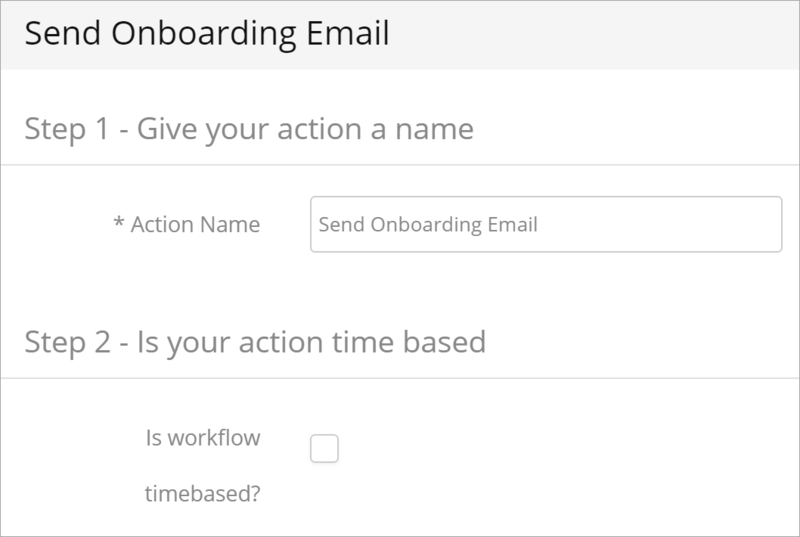 Name your action as Send Onboarding Email. 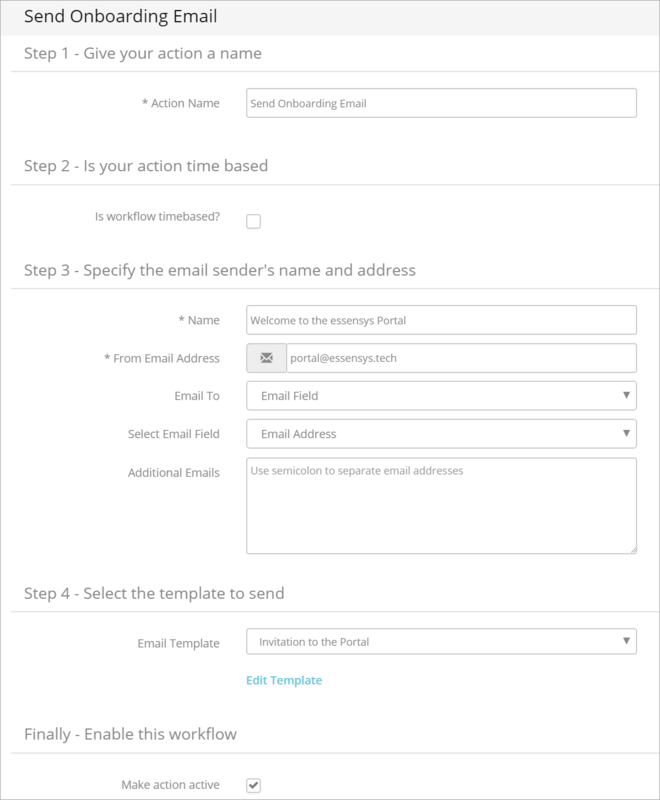 Select the email to which the onboarding email should be sent - Please select Email field, then Email Address which ensures that your email will go to the email address registered on the Contact record. You can add additional emails if you need to notify a staff member about the new member, for example. 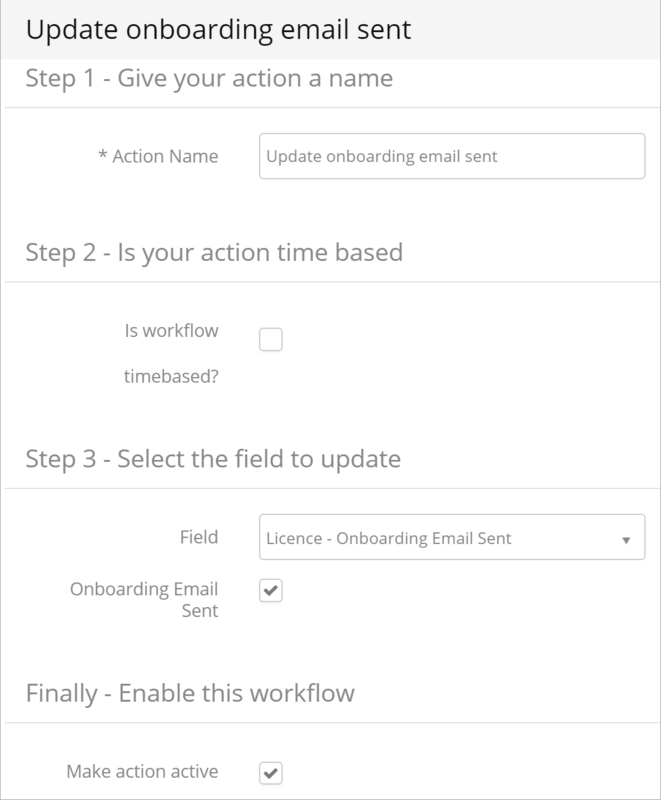 Under step 3, select the Licence - Onboarding Email Sent field to update. Below there will be an Onboarding Email Sent checkbox - please check it so that the workflow action will update the field from false to true. This way, if your Licence contacts have already received the email as part of an initial Licence, they will not receive it again if an additional Licence is activated. If your list is ordered differently, please drag and drop the actions to the correct order. If your workflow has been configured correctly, then your main Licence Contacts should start receiving invite emails as soon as their Licence is activated.